To provide quality comprehensive services to individuals, couples and families in therapeutic, safe and confidential environment with integrity. Our goal is to demystify the concept of therapy and reduce the stigma of seeking services in order for healing to begin. Our vision is to help individuals to unleash their inner abilities to embark on a journey in discovering their own pathway to healing, restoration and self-awareness, with the goal to achieve inner peace and optimum harmony in order to thrive with audacity. Everyone should be able to express their “truth” without reprisal. 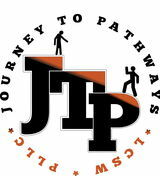 At Journey to Pathways, we are willing to listen without judgement and to help you put your “truth” into perspective.